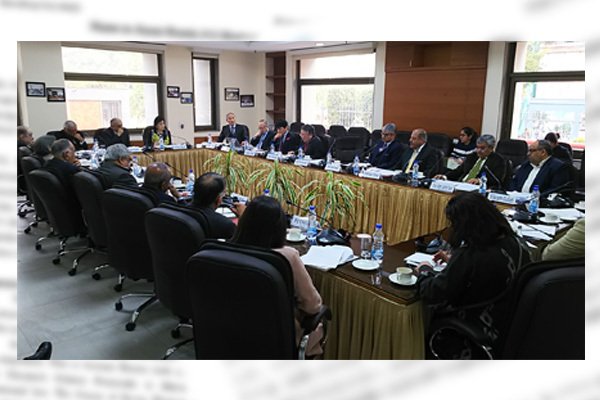 In early February, the Japan Institute for National Fundamentals and India’s Vivekananda International Foundation held a workshop titled “India-Japan Partnership in an Uncertain Era” in New Delhi. Before the workshop, the JINF delegation held meetings with Indian Prime Minister Narendra Modi’s National Security Adviser Ajit Doval and other Indian officials and with the Confederation of Indian Industry, the Indian counterpart of the Japan Business Federation known as Keidanren. Indian friends welcomed us enthusiastically, reflecting their keen awareness of the dramatically changing global situation and their determination to enhance their economy and defense capabilities to protect the democratic framework of the Indo-Pacific region. Their enthusiasm is based on their belief that Japan is the best strategic partner for India to tackle challenges facing them. For our part, we see India as a strategic partner. The workshop was naturally filled with vigorous discussions. In a bid to expand its global influence, China has already spent more than $400 billion on infrastructure investment in developing countries under its Belt and Road Initiative. Japan and the United States plan to spend $70 billion on such investment, emphasizing their high-quality projects to make up for the wide funding gap with China. As a matter of course, however, doubts exist about if such funding size is enough. China provides investment and loans irrespective of domestic conditions in aid recipient countries or the economic rationality of relevant projects, requiring no down payment. In contrast, Japan checks human rights conditions and the economic rationality of relevant projects, usually requesting a down payment equivalent to 30% of total project costs. China is in an advantageous position to expand into developing countries. Meanwhile, Japan’s cooperation is indispensable in order to foster India’s economic capability. However, Japan’s direct investment in India in fiscal 2017 was limited to a little more than 300 billion yen, less than one-fifth of 1,600 billion yen in direct Japanese investment in China. India has got an impression that Japanese Prime Minister Shinzo Abe showed a positive attitude towards the BRI during his China visit last October, having doubts about Japan’s real intention. In fact, Prime Minister Abe conditioned Japan’s cooperation in the BRI on four requirements – openness, transparency, economic viability and fiscal soundness of recipient countries. As far as the four requirements are met, China may have no room to set any unreasonable debt trap. Japan must further explain its attitude to prevent itself from being taken as helping China’s dubious influence expansion. I strongly feel that Japan should share India’s strong sense of crisis regarding national security. While emphasizing the importance of the United States, the JINF and VIF reaffirmed the need for the two countries’ military buildup and mutual cooperation in view of some concerns about the U.S. President Trump’s China policy and agreed that the two countries and the Association of Southeast Asian Nations should strengthen their strategic relations. Japan-India exchanges through business operations, tourists and students are limited to less than 10% of Japan-China exchanges. Such percentage is around only 1% in some areas. Given that Japan and India share many values and can complement each other, I have deepened my belief that the time has come for the two countries to powerfully promote strategic mutual cooperation. 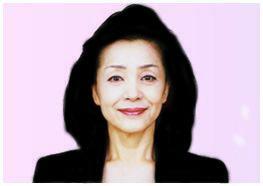 Yoshiko Sakurai is a journalist and President of the Japan Institute for National Fundamentals. Published in Japan Institute for National Fundamentals on 12th feb 2019.